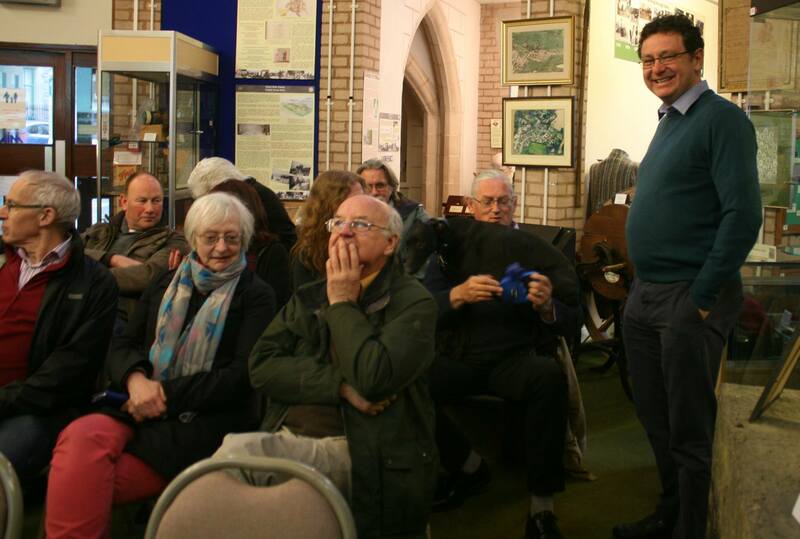 2 years ago, I attended the opening by Ken Skates of the ‘Sharing the Treasures‘ at Llangollen Museum, which included the finds from my co-directed excavations at the Pillar of Eliseg. More recently, I’ve been back to Llangollen Museum with students and with colleagues doing research on the Pillar of Eliseg as well as researching a newly discovered 14th-century grave slab fragment temporarily on display. In May of this year, I got to talk in the shadow of the replica Pillar of Eliseg and close to the Bronze Age cremated remains we found in the mound beneath the Pillar of Eliseg and now displayed in a mock-up of a cist-grave in the museum. 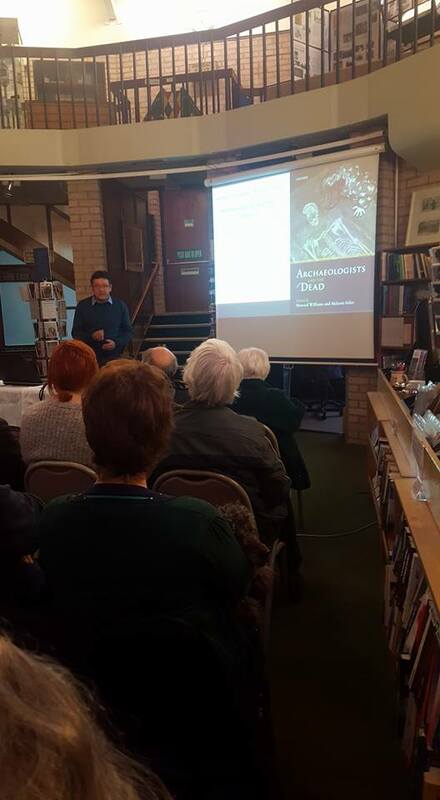 With my new book Archaeologists and the Dead nearly out and published in June with OUP, this evening I gave a public lecture exploring case studies in the relationship between mortuary archaeology and contemporary society.I focused on asking how we explore the diversity and complexity of past mortuary practices in museum and heritage spaces, and why should we display the human dead in these environments. 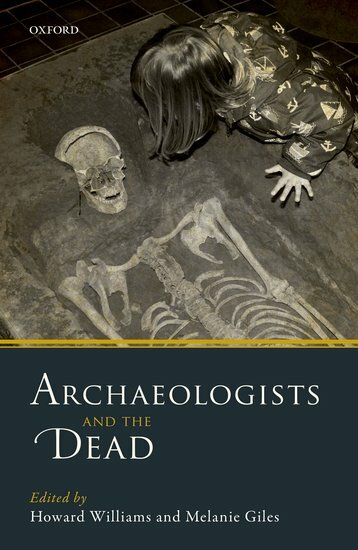 I started by discussing the book co-edited by Dr Mel Giles and myself, and containing 19 chapters exploring current debates worldwide, in Europe and in the UK, regarding the archaeological investigation, display and interpretation (including envisioning of) the remains and contexts of the dead. I then explored two very different case studies in how the dead are presented at heritage sites: Stonehenge and Sutton Hoo. My point about each was the importance of absence, or staged absence, in the narration of each site’s archaeological history. In particular, I talked about the centrality of cremation practices to each site, and how these presented a challenge as well as opportunities for engaging visitors with the stories of each site. 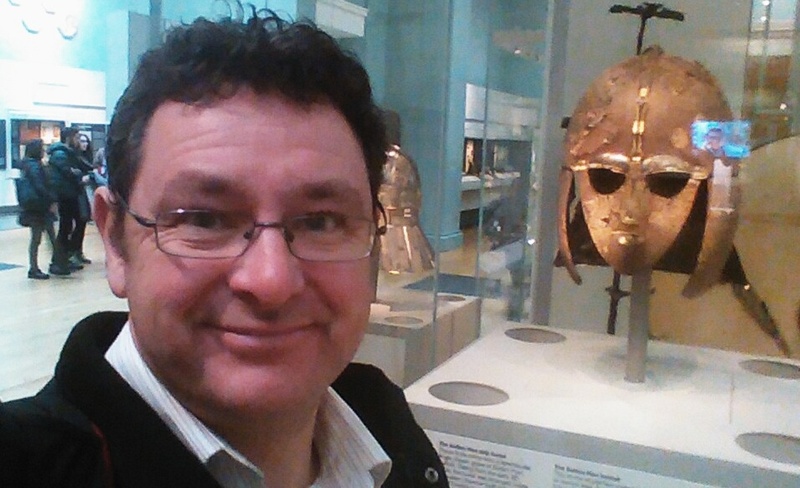 I also talked about the power of the Sutton Hoo helmet in framing imaginations of the absent dead (see also my blog on Anglo-Saxon death at the BM). I summed up by bringing the discussion back to the situation in Llangollen Museum: a small museum like this is replete in different material traces of the dead, memorials to the dead, as well as remains of the dead, including the Pillar and the cremated remains we excavated. This was a direct development of themes discussed in the Dead Relevant conference in Chester on the 19th April and you can view this conference online here and my blog post on Leeds Museum here. As well as presenting my paper, there was a very constructive and lengthy Q&A session to follow. One highlight was that I got to meet a whippet called ‘Toby’ and there was also a poodle in the crowd. I’d like to thank the audience and the organiser – Gillian Smith – for a fabulous evening. Note: previously posted on the Archaeodeath website.